Malou of big & huggable tagged me on this one. 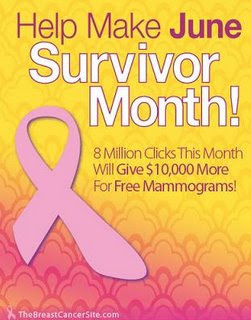 It's a worthy cause because it helps to spread the awareness on the ‘Breast Cancer Awareness’ month of June. Please help spread the word. Even just a click will help tremendously.